Good feelings seems to ooze out of the peas-in-a-pod jewelry from Michael Michaud. Each piece can symbolize many things. Peapods embrace the anticipation of spring, the joy of a bountiful harvest and the celebration of family. 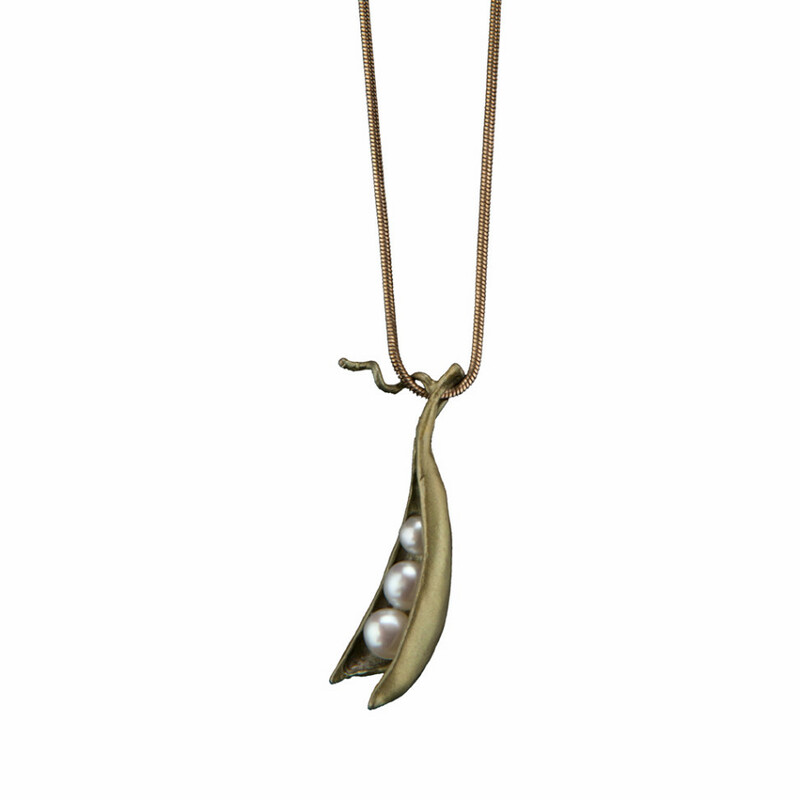 The peas are made by carefully placing freshwater pearls of just the right size in each pod. For some, the pearls celebrate their children, grandchildren or siblings. Do you have a peapod piece with a special meaning? Why not share it with a comment on our blog? or Our Facebook page? Hand patinaed bronze with fresh water pearls. Certain styles available in Sterling Silver and some available in Silver Plate over Bronze. Handmade in the U.S.A. The Pea Pod is a favorite gift for mothers & grandmothers at Stowe Craft Gallery!